Last night, on The Last Word, Lawrence O'Donnell once again made Glenn Beck the subject of his "rewrite" segment. The stage actor called O'Donnell "non-God fearing" and claimed that O'Donnell worked for an "anti-God" network. Listen to O'Donnell's take down of Beck's shallow and uneducated use of Revelations. It's good to see O'Donnell make use of Thomas Jefferson's words to expose Beck for the fraud that he is. Even a man of faith, Glenn Beck, cannot take the Bible literally. However, O'Donnell did not note Beck's frequent misuse of Jefferson's words from a letter he wrote to his nephew, Peter Carr. As previously stated on this Review, Beck has been misquoting Jefferson for years. Beck deceitfully put the phrase "honest questioning" in quotation marks in The Real America, as if Jefferson wrote them, but that is just one in a long line of deceptions that Beck has been getting away with for many years. 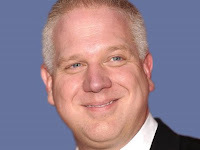 Apparently, Beck's hatred for President Obama is sufficient for Beck's followers, the truth be damned. Thus, some questions beg to be asked of Mr. Beck, who wrote in The Real America that Jefferson wrote, "And above all things, when it comes to religion, fix reason firmly in her seat and question everything." (That's a misquote.) If Beck fixed reason firmly in her seat, then why is he spouting off about faith so often? Why does Beck quote Jefferson's words, "Question with boldness even the existence of a God," when Beck never questions the existence of God? Finally, the remainder of Jefferson's quote that Beck changed for unknown reasons, reads "because, if there be one, he must more approve of the homage of reason, than that of blindfolded fear." Beck substitutes the phrase "honest questioning" for "the homage of reason." Why? They mean two different things. Why would someone, who makes his living and causes great outrage and criticism by fear-mongering, quote Jefferson's disdain for blindfolded fear? Why would Beck quote Jefferson expressing disdain for blindfolded fear but criticize O'Donnell for not being a God-fearing man? If Beck wants to sell himself as a man of faith, is not Jefferson the last founding father Beck should be routinely quoting? If Beck wants to sell himself as a teller of the truth, should he not at least stop putting words to Jefferson's pen that Jefferson himself never put there? I do not know why Glenn Beck misrepresents Thomas Jefferson. I can only guess. Perhaps he thinks people are going to believe him because he is telling them something they already want to believe. What I find even more disturbing is that a news network gives him a platform for all his fabrications. Evidently there is a lot of profit in fiction disguised as fact. Fox is losing money at this point on Beck, so he's kept, in my view, for propagandistic value. I agree, that the reason Beck's sheep don't notice the lies and obvious hypocrisies is that he's telling them what the want to believe. At least beck gives you references so you can look things up yourself. You just base it on your opinion. Show your references because I don't trust your opinion. I doubt yiu even have references. Typical liberal rag. You can never back up your opinions with facts and references. Doug, all you need to do is to click on the hot links which would take you to the posts with the facts and references you're clamoring for. I assume that my readers understand the basics of blog technology.